Congratulations to Sharon Murphy, Director of Charlotte Hall Veterans Home. 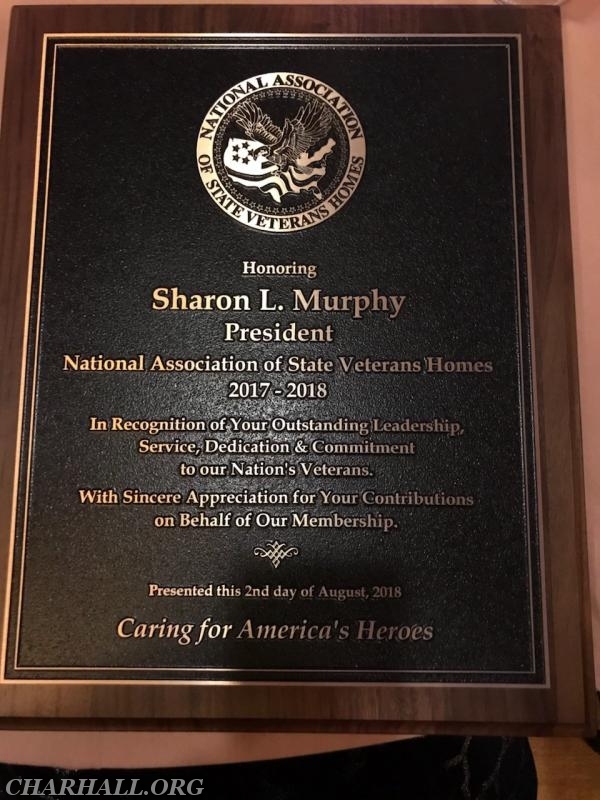 Sharon just ended her term as President of NASVH (National Association of State Veterans Homes). 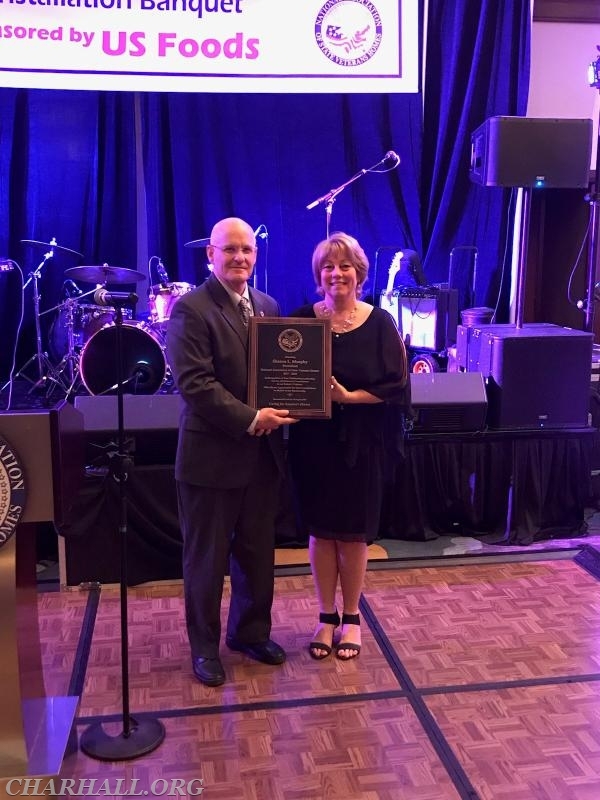 She was recognized at the NASVH Summer Conference in San Antonio, Texas. Thank you Sharon for your compassion and dedication to our Veterans.